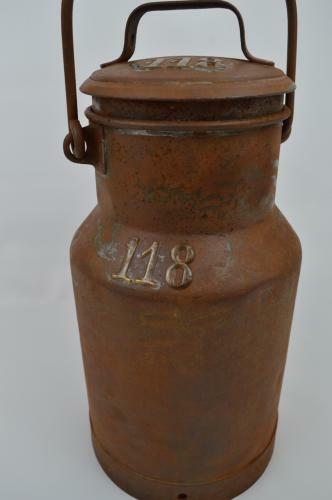 Small vintage milk churn dating to the early 20th century. Has lovely brass numbers on the lid and body. Would look great in the kitchen on display.